The works in the exhibition are testimony to WONG's deep and continuing fascination with landscape. 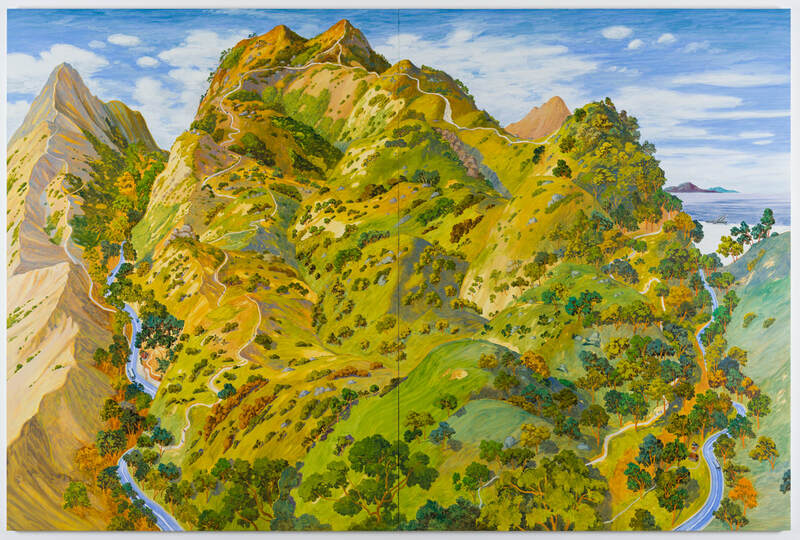 Inspired by both Western and Eastern traditions and frequently spanning two or more canvases, his paintings draw the viewer into a world of lush green hills, winding mountain paths and ever-changing skies. 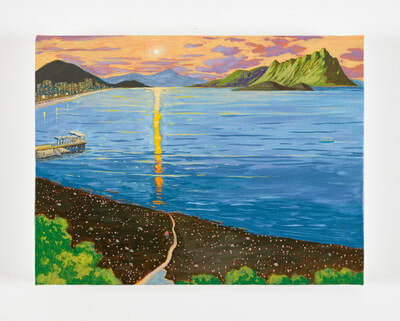 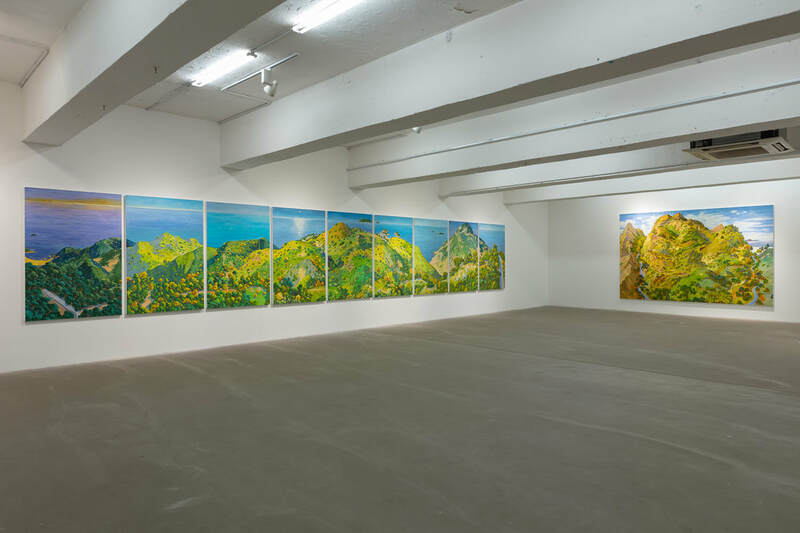 WONG's scenic panoramas have evolved naturally from the dreamlike, highly imaginary landscapes shown in "Daydream Travelogues", his previous solo exhibition at Gallery EXIT. 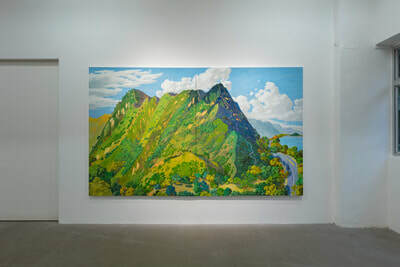 However, compared to those earlier works, his new paintings are closer to their sources of inspiration. The nine-panel "The Dragon's Back" as well as the double-panel works "Shing Mun Reservoir" and "The Sunset Peak" are based on and named after some of Hong Kong's most spectacular sceneries. Despite being inspired by actual places, WONG's landscapes are not meant to be exact representations of nature. 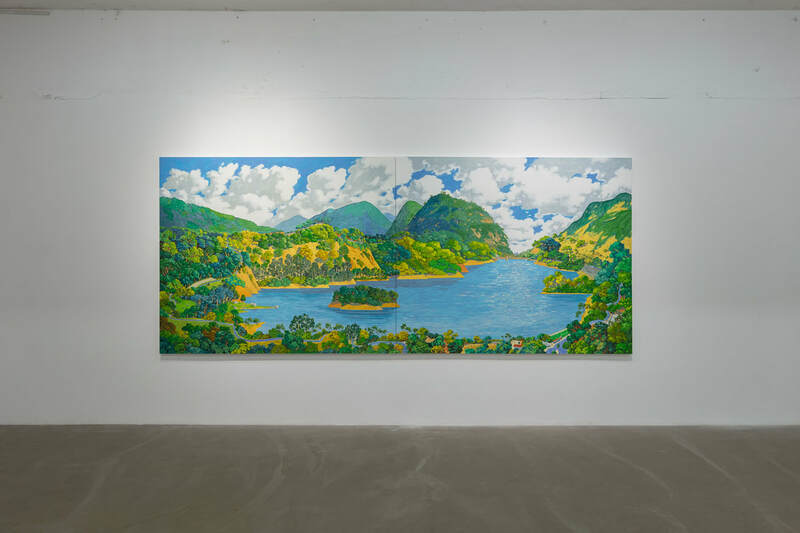 The artist finds the inspiration for his works during long hikes through Hong Kong's countryside. 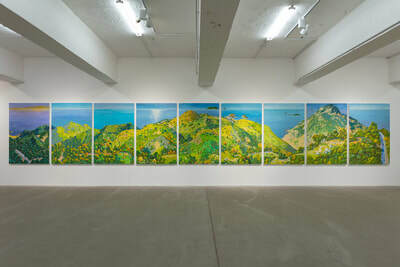 Instead of taking photographs, he documents his experiences with pencil and watercolour sketches, an approach not unlike that of a 19th-century landscape painter in the European tradition. 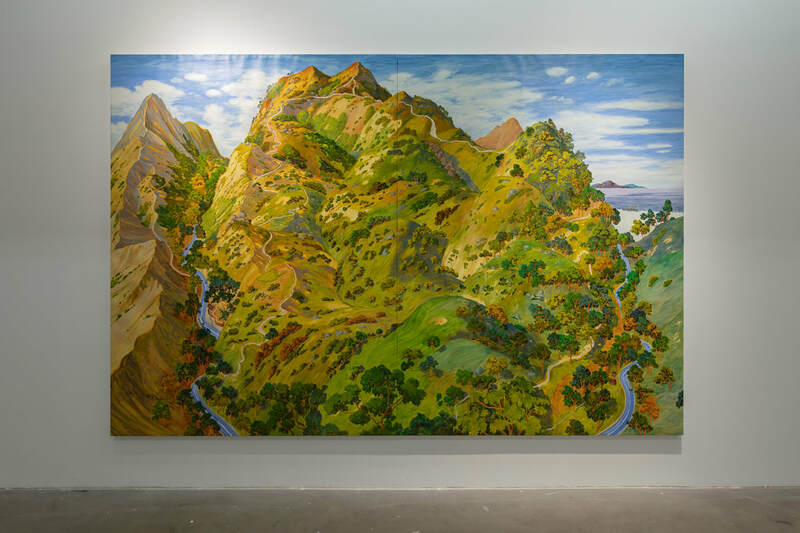 Back in the studio, he reinvents the terrain from his sketches and memory, often relying on his imagination. The resulting landscapes are, above all, landscapes of the mind. 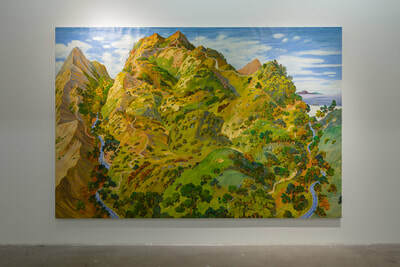 They invite viewers to immerse themselves into an imaginary world and picture themselves as part of the scenery. 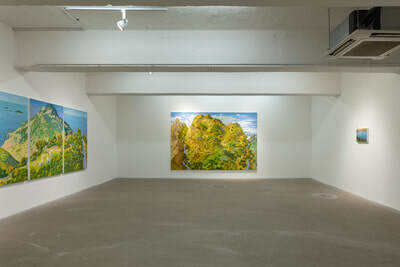 In this regard, WONG's works resemble the idealised "mountain water" paintings of the Chinese tradition. 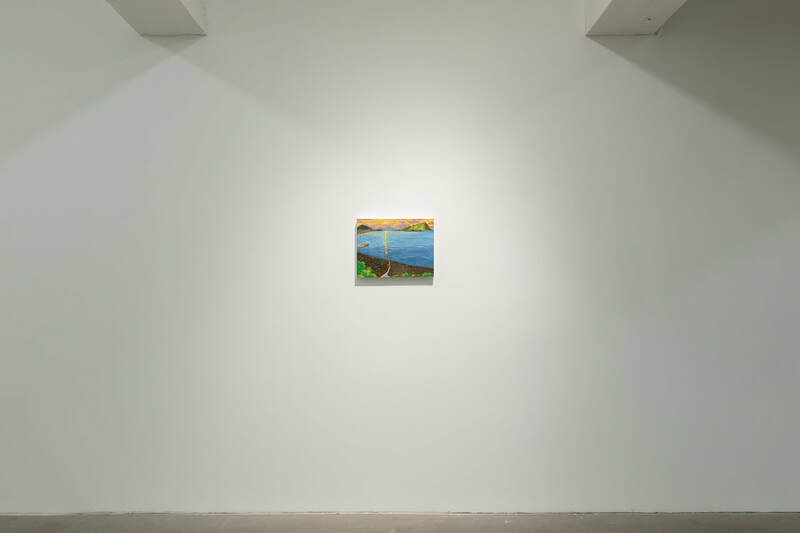 Those ink landscapes often feature small figures that allow viewers to place themselves in the painting: a scholar in contemplation, a lone traveller, a fisherman on his boat. 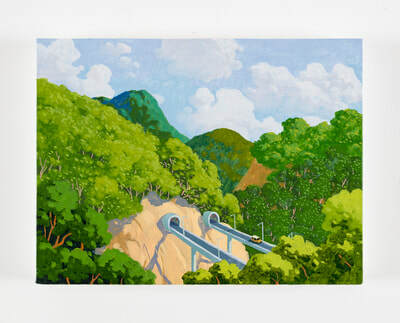 In WONG's "Shing Mun Reservoir", tiny hikers serve the same purpose. 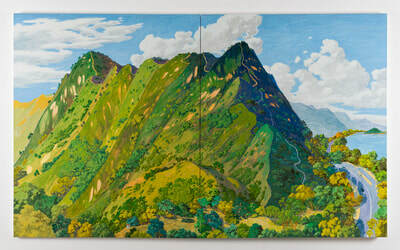 In "The Sunset Peak", roads and footpaths wind up the slopes, adding dramatic depth to the landscape and directing the eye towards the summit - another common device in Chinese painting. 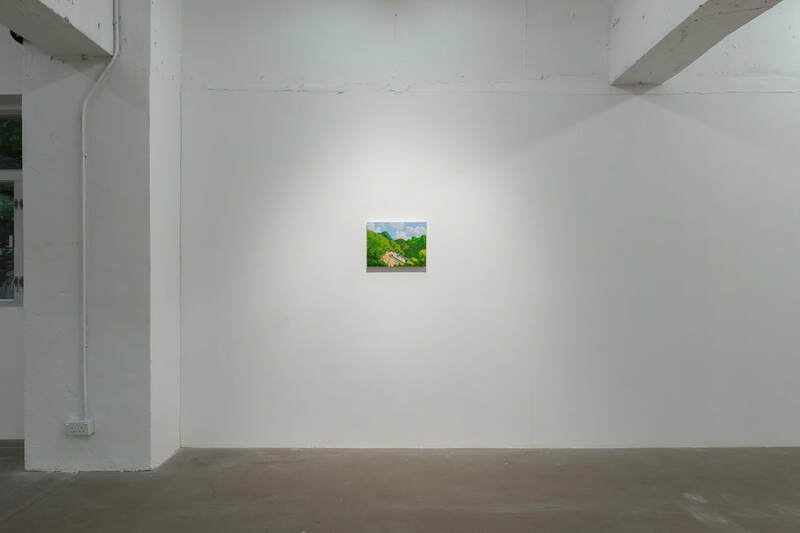 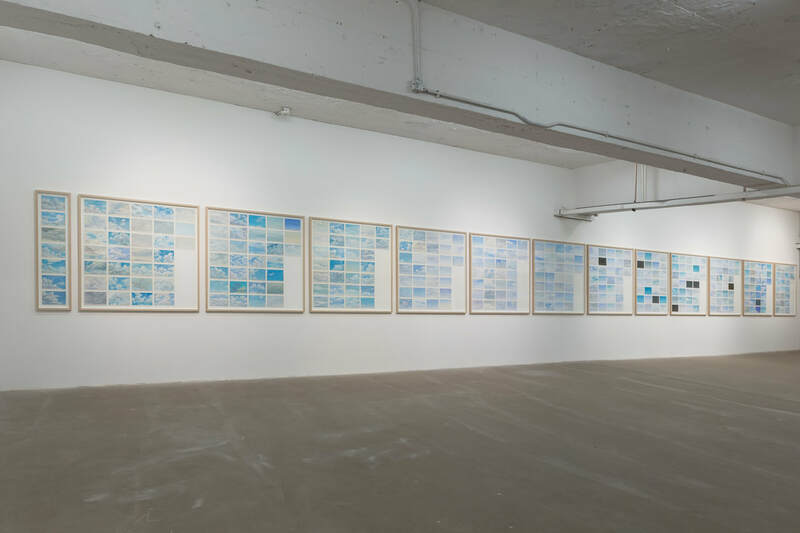 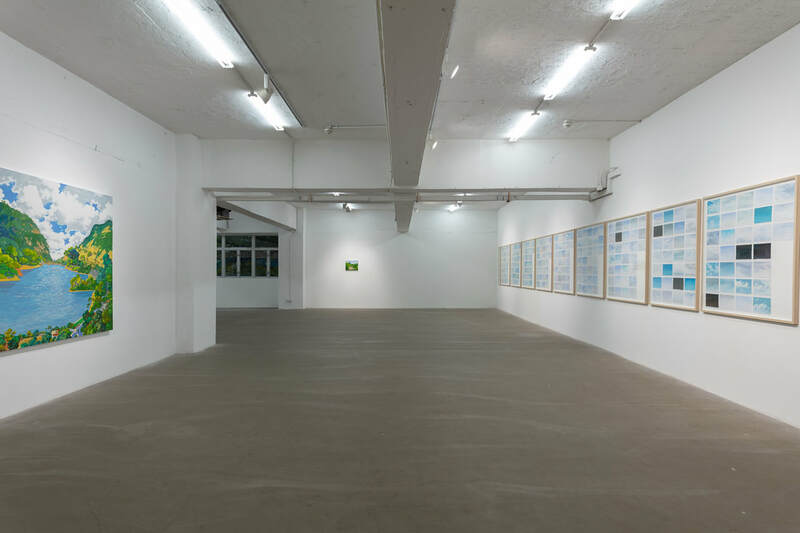 Apart from WONG's panoramic oils, the exhibition also includes his series "The Study of the Sky Every Day", a collection of 365 small-format acrylic paintings. The project was inspired by the famous landscape painter John Constable, who produced dozens of cloud studies in 1821 and 1822. 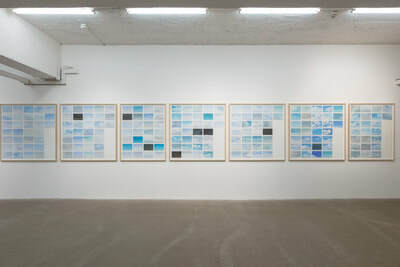 The English artist saw the sky as the "chief organ of sentiment" in a landscape painting.